SUNDAY MORNING BURLARIES COMMITTED, SOLVED. ARREST MADE. 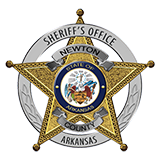 At approximately 6:00 A.M. on Sunday, September 21st, 2014, the Newton County Sheriff’s Office received a call of a burglary that had just occurred at Norton’s Store in Piercetown. A Newton County Deputy, assisted by a Jasper Police Patrolman responded to the scene to investigate the incident. A front window had been broken out and sixty three packs of cigarettes had been stolen. As officers cleared the scene, the Sheriff’s Office received another call, around 6:35 A.M. of a burglary at Tanner’s Hardware in Jasper. Again, both Jasper Police Department and the Newton County Sheriff’s Office responded to investigate. The front glass door to the business had been shattered and entry had been made there. After reviewing video and checking inventory, it was determined that a flat screen T.V., and iPod, a high-end pair of headphones, an Xbox gaming system and other electronics had been stolen. Video footage from inside and outside the store, and a neighboring business, gave officers a vague suspect description but a solid clothing and vehicle description. While conducting a follow up investigation, officers located a vehicle matching the description. This led officers to contact James Edward Casey Finch, aged 22 of Hasty. During the investigation, Finch confessed to both incidents and all the property was recovered. Finch is being held in the Newton County Jail on two counts of Commercial Burglary (class C felonies), one count of Theft of property under $1000.00 (a class A misdemeanor), one count of Theft of Property, less than $5000.00, but greater than $1000.00 (a class D felony) and two counts of 1st Degree Criminal Mischief (class A misdemeanors.) Finch will appear before a judge to determine bond this week.